TOKYO, JP – Metal Gear Solid V: Ground Zeroes and The Phantom Pain. Two sides of the same eyepatch. The most controversial game(s) containing child soldiers, disembowelment, amputee war criminals, and people can only fixate upon how much skin the traumatized mute sniper girl is showing. 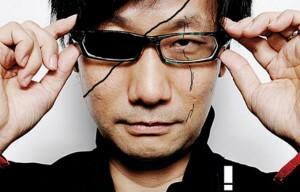 Kojima has always been a man of intrigue and mystery, but today, he explained to us how the game would not only fit into the already confusing and convoluted Metal Gear canon, but also, how it would tie into other games Kojima has made as well. After this speech, Kojima stormed out hastily and refused to dwell more on the subject. Mumbling under his breath, we could of swore we heard him saying all of his fans are gullible morons. After Playing Monster Hunter World, I Realize That I am the Monster. Nintendo: "Do Not Assume Nintendo Switch Is Our Next Console"
Kanye West Needs Our Help - and You're Buying Fire Emblem Fates?